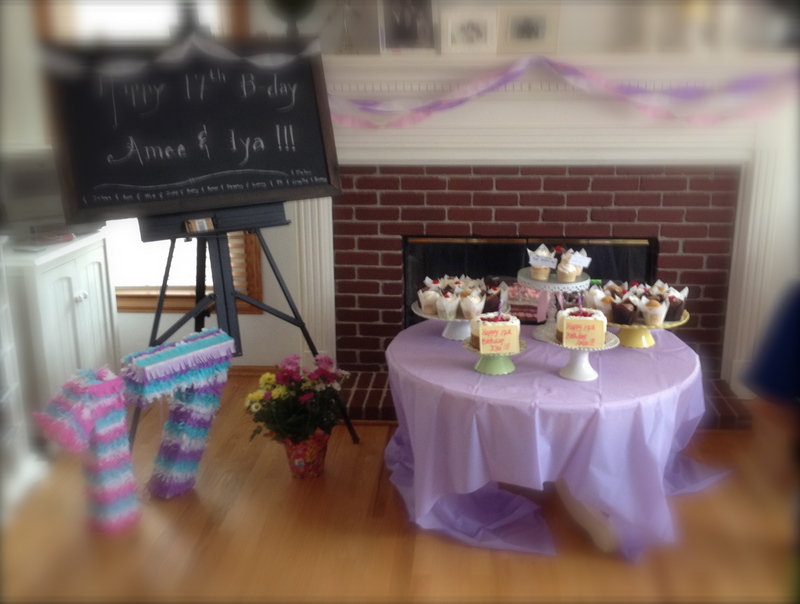 Not too long ago we held a gathering in our home. Though the above picture is not a typical image of a Filipino party, the photo below is. 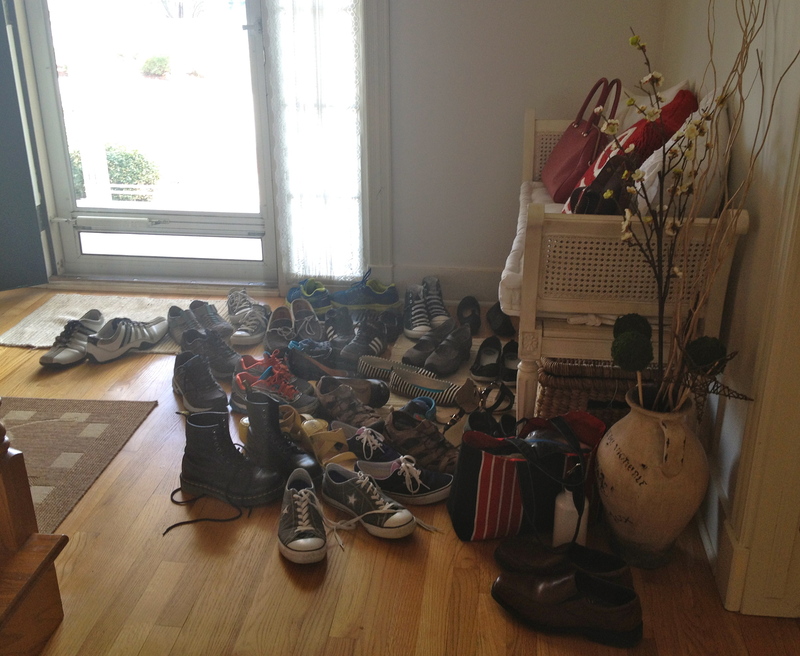 I really did not demand my guests to take off their shoes when they enter into our home, but since almost all of them were Filipinos, it is a kind of unwritten rule in our culture, so they just did without being asked. Filipinos and shoes have some kind of notoriety, when Imelda Marcos was found to have more than 2000 pairs of shoes that she left behind in Malacañang Palace during the People Power Revolution in 1986. But that is a different subject altogether. Not just in the Philippines, but many Asian countries have this common custom of taking off their shoes when entering their own home or somebody’s home. The practice is more cultural rather than religious. It also has a practical reason for it, like in Japan, where they sit, eat, and even sleep on the floor, so keeping street shoes off would maintain the cleanliness of the floor. I have read that other European countries also have this practice of removing shoes when entering one’s home, like Switzerland and Scandinavian countries. Though in some culture, like here in America, it may be deem rude to order your guest to take off their shoes when they enter your abode. Unless they do it without being asked. I remember when I was growing up in the Philippines, it is almost a must that we leave our shoes, street slippers, or bakya (wooden slippers) at the door when we enter a house. It is not that our floor is considered a holy ground, but it is considered the polite way, when we take off our shoes. Whether the floor is concrete, hardwood, bamboo slats, or carpet (though I cannot remember entering a home with carpet floors in the Philippines), I took my shoes off just the same. I have even heard of an old woman from the province who boarded a bus to go to the city. She left her bakya at the foot of the bus stairs when she boarded, only to find them not there when she got off. So it does not matter whether you came from the market or a palace, or from playing tumbang preso, where you throw your slippers around. It does not also matter if your shoes are muddy or clean or even covered with antiseptic solution, or if you’re wearing a cheap footwear from Ukay-ukay, or a Manolo Blahnik or a million dollar shoes. Please take them off when you enter a Filipino home. Except if the host told you “Huwag na, huwag na” which means it is alright to keep them on. Lastly, a word of advice to our friends, when you are going to a Filipino house party, make sure your socks are clean and not stinky, or has no holes in them. Unless of course, you want to be the talk of the party. I must admit, I had to look up “Tumbang preso.” Not familiar with the game, which does not mean much, really. I missed a lot of cool games growing up. As for removing footwear, it took a little getting used to, for me. We did not take our shoes off at anyone’s home, when I was growing up in Manila. But when we moved to Toronto, we were taking our shoes off when we visited with friends who were originally from Eastern Europe. It definitely is more sanitary but more importantly, it struck me as a great gesture of humility, having been welcomed into someone’s private place. Thanks, PT! “A great gesture of humility.” I like that.